please see ISO 14001 2015 Translated into Plain English. to manage all of these influences and obligations. define the scope of your EMS and to begin its development. it, by showing that they support it, and by providing resources. responsibilities, and authorities are assigned. consider the risks that could affect your organization's EMS. 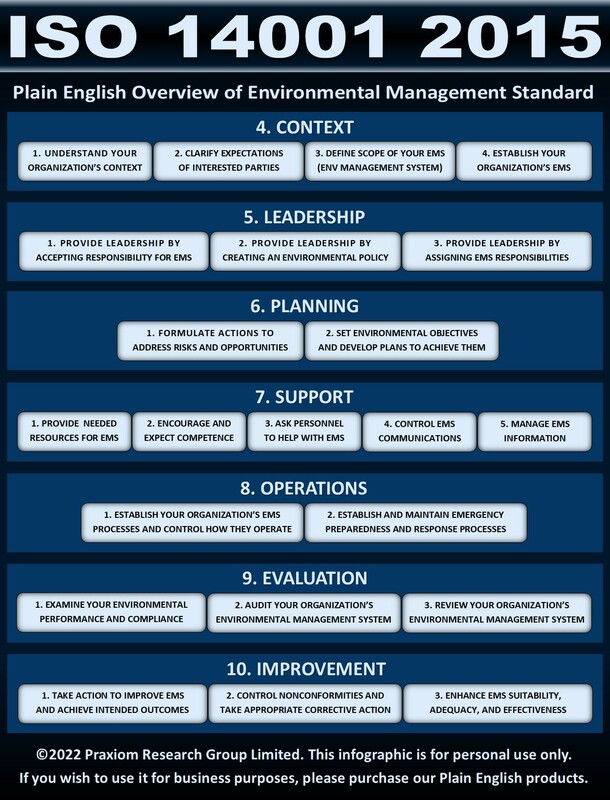 build them into your EMS processes. 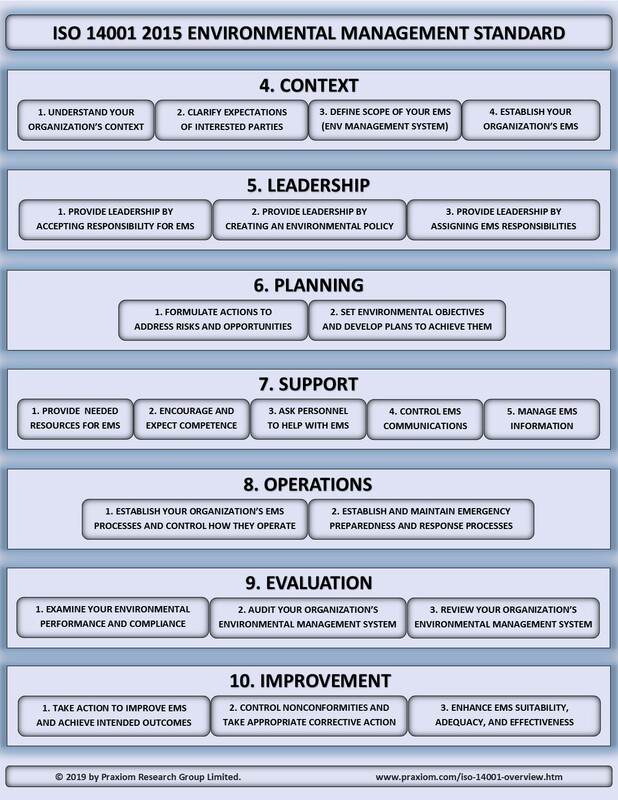 all of these actions into your organization's processes. managing EMS documents and records (documented information). and records that your EMS needs. that were previously built into these processes (in section 6). opportunities that could influence your environmental performance. and to establish a procedure to respond to these situations. generate appropriate outputs, and to document your results. suitability, adequacy, and effectiveness of your EMS. Updated on March 5, 2019. First published on January 11, 2015.